The Institute of Physical Education and Sports hold a meeting of students and teachers with the chief inspector of the Kreminna District Department of SES of Ukraine in Luhansk region, Major Yulia Grygorenko. The meeting was held on the topic: “Prevention of emergencies and events, the procedure for actions in case they arise”. 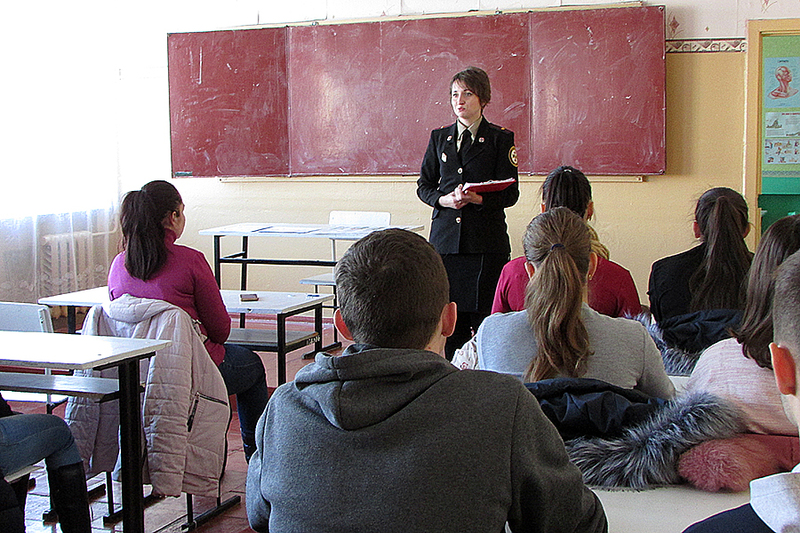 Yulia Sergiivna showed students a statistics of emergencies since the beginning of 2018 in the district, region and the country as a whole, considered in detail the situation with the risk of fire or loss of life, the causes and conditions of their occurrence. Particular attention was paid to the issue of the procedure of actions in case of detection of a fire, the use of primary firefighting means, ensuring quick and safe evacuation of people. Also the inspector did not pass the problem of explosive objects, once again reminding the students of the rules of safe behavior in case of detection of suspicious objects. Students received the thematic memos and posters in order to consolidate the material.